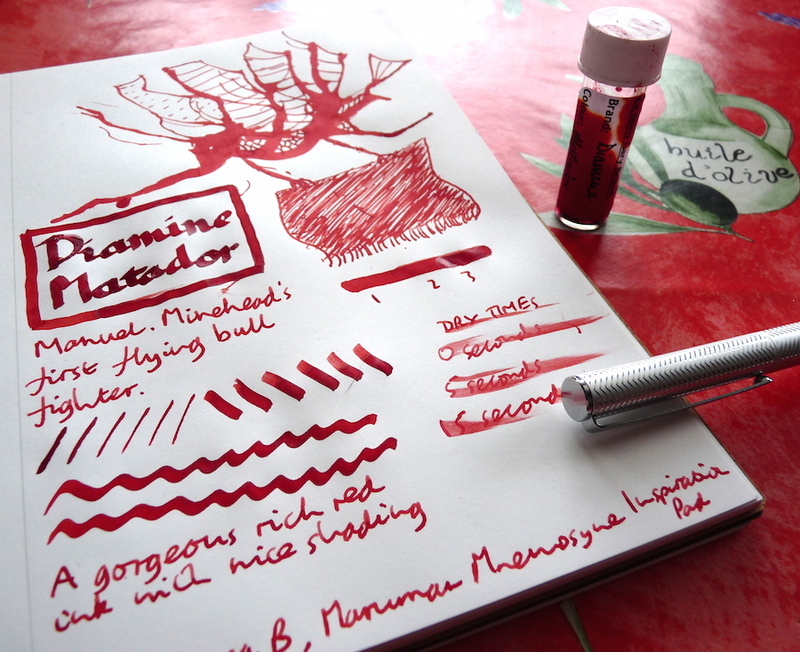 Diamine Matador Ink Review – Pens! Paper! Pencils! Here’s another lovely red ink that the Fool With a Pen kindly sent me. It’s bright and cheery without getting silly. There’s a touch of shading to lift it from the page. I like it very much. 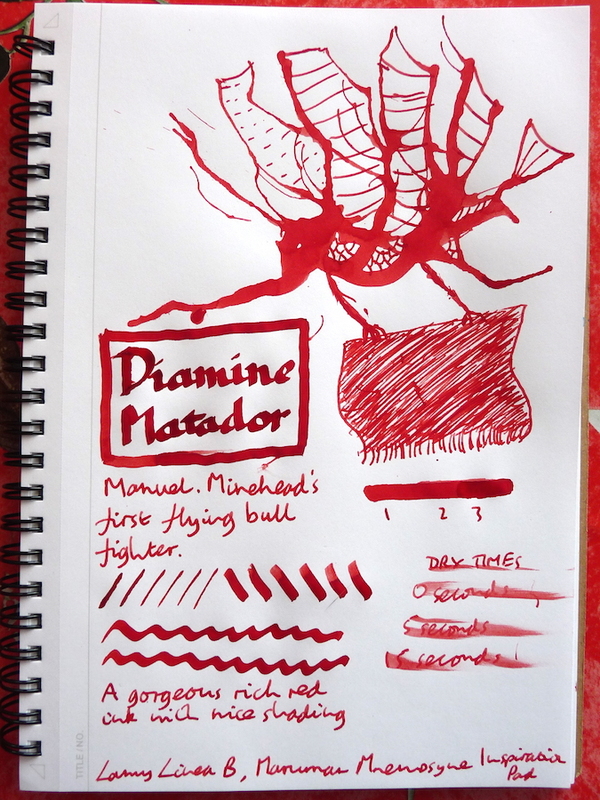 You can find some more reviews of Diamine Matador on Pennaquod.